Sit Stay – You’ll love how well this works! Heeling – How to walk nicely on a leash. Down Stay – This could save his life! Recall – How to come to you the first time you call. Finish to Recall – Sits right in front of you. Stand for Examination – Your vet or groomer will love you! This class is a four week course designed for puppies from 16 weeks and up to 1 year old. 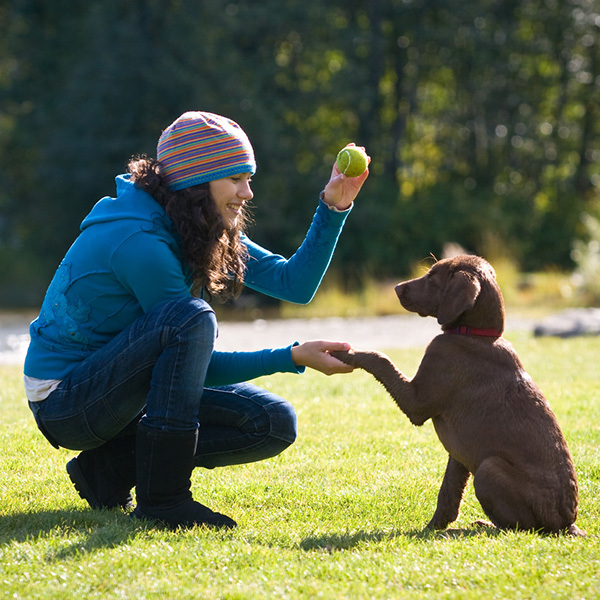 This is an individual class specifically designed for you & your puppy to learn common obedience & behavioral skills. Supplies and equipment included. Class schedule is once weekly customized to your schedule. Class includes Question and Answer period every lesson to solve other issues you may be having with your puppy. 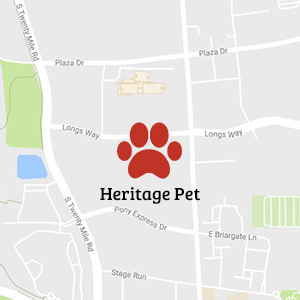 This class is a six week course designed for any younger dog who have either completed the Individual Puppy Class (above) or have been approved by the instructor. 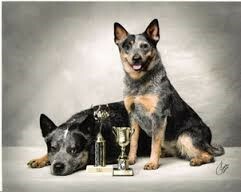 This class will focus on socialization, obedience, sit, down, stay, recall and some fun tricks. Supplies and equipment included. We offer a few classes per week and the instructor will let you know the schedule. 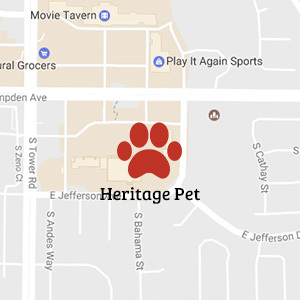 For more information or to sign up, please call the Heritage Pet Parker location at 303-841-5646 or speak with Thomas Rock.